The Comfort Inn Arundel is ideally located near Arundel Castle. This Arundel hotel is minutes from Chichester Cathedral, Fishbourne Roman Palace, Goodwood Horseracing, the University of Brighton and the University of Sussex. Business travelers will appreciate the banquet and meeting rooms. A guest-use copy and fax machine are available. Secretarial services can also be requested. Inside this purpose-built hotel, the large en-suite rooms are fully equipped all the amenities. Enjoy an afternoon tea, or a visit to the on-site restaurant and cocktail lounge. 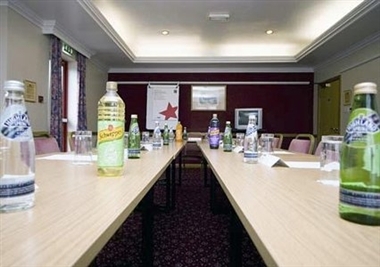 Whether visiting the Arundel area for business or leisure purposes, guests are sure to find the Comfort Inn Arundel ideal for any stay.